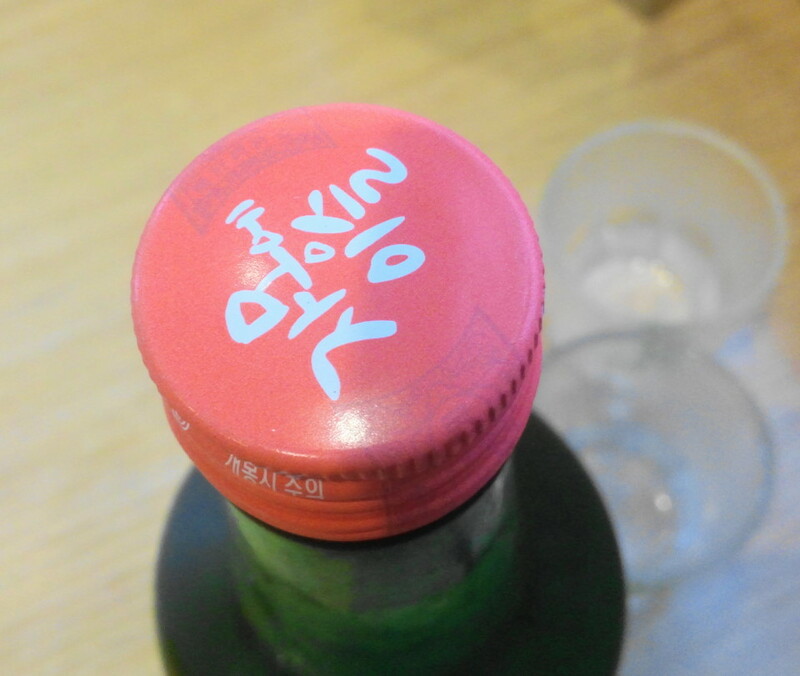 A couple of months ago we posted about the emergence of a new super popular type of Soju. Which was the Citron Soju – More Info Click Here. Of course with the success of that flavor has lead to other company jumping of the flavored soju bandwagon and hoping from some of Lottes success. 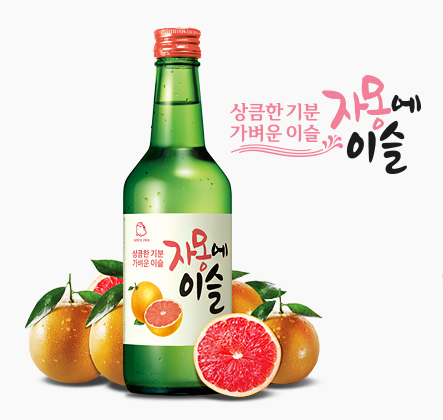 Soju market leaders Hite Jinro released a Grapefruit flavored Soju which has quickly gained a big following and like the Citron Soju from Lotte has started to sell out quickly in stores and restaurants. Fortunately recently supply has been increased and we’re able to try it out. Here are our thoughts. Thoughts: The taste is mild, but a little sweeter and not as harsh as regular soju. The alcoholic content is a modest 14% (same as the Citron Soju) which still provides a kick but is for the most part manageable. The Grapefruit flavor subtle, enjoyable and matches the season well. The price varies from place to place, in stores it’s around ₩1500 whilst bars/restaurants generally sell it for around ₩4000 a bottle. Overall it’s very enjoyable, affordable but a little tricky to find sometimes. 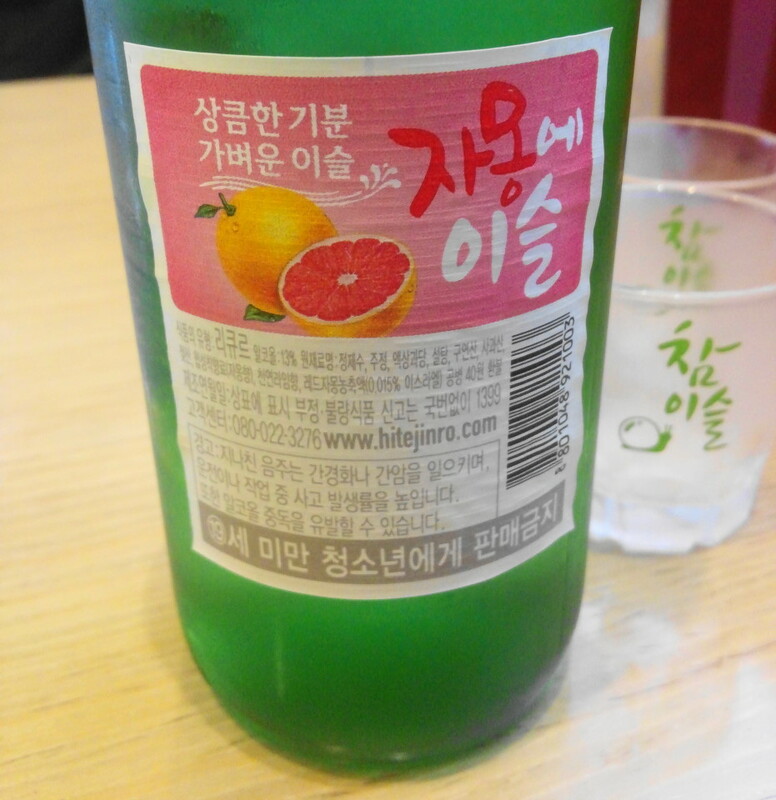 Vs. the Citron Soju: The grapefruit Soju in our opinion is slightly better, the taste is sweeter and a little softer. Plus a little more natural than the Citron Soju. However the Citron Soju is easier to find these days and the same price. Overall it’s very enjoyable and well worth trying out on a Friday/Saturday evening, but be carefully as it is deceptively strong. A few key words worth noting: 순하리 (Mild), 자몽 (Grapefruit) and the brand name 하이트진로 (Hite Jinro). As always if you have any questions about Grapefruit Soju, Flavored Soju’s or Alcohol in South Korea in general please feel free to let us know. Either below, by Email or via Twitter or Facebook.